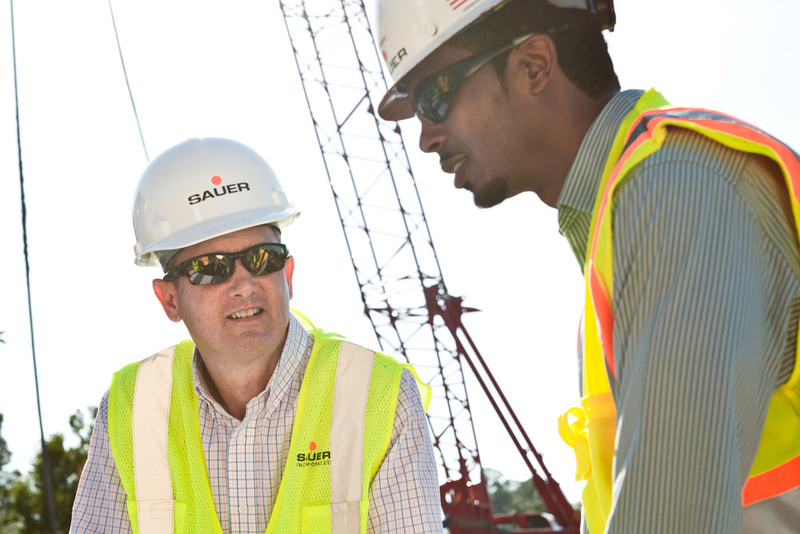 At Sauer Group Inc., we believe the safety and health of our associates is of utmost importance. The company strives to develop and implement the most progressive safety program possible to ensure that we meet the goal of zero incidents. It is the company’s policy that the moment an applicant becomes an employee, he/she becomes a part of “we”. We believe that our success is measured in terms of safety performance and productivity. Increase emphasis on management’s accountability and responsibility to promote and maintain safety awareness and effectiveness. Safety audits requiring response to recommendations. Subcontractor pre-job orientation including review of Company and Client’s work rules. All managers, superintendents and foremen are provided updates to federal, state and local rules and regulations as they are issued. Thorough accident reporting, investigation and follow-up. A video library on current safety topics and issues is maintained by the Safety Department.